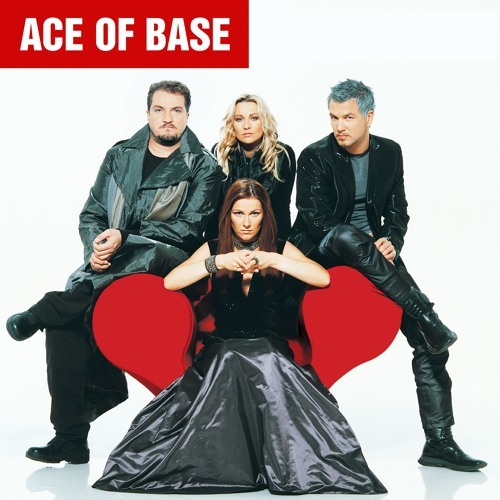 Welcome the official Ace of Base profile! Ace of Base is something as uncomplicated as a pop band, that doesn’t try to be or appear to be anything else than that. They want to make their listeners feel good when hearing their music. They don’t have any heavy messages, even if the songs obviously have become better crafted and substantial over the years. Simplicity isn’t easy. The fact that Ace of Base has sold over 30 million albums and 15 million singles proves that they know what they’re doing. Ace of Base is one of the world’s biggest bands, one of those rare bands whose name is a well-known brand wherever in the world you go. Their fans, so called ”Acers”, also show a passionate interest in the band. Every year, some of them fly in to Gothenburg from all over the world to get together, share views and opinions on the band, check out the studios where the band has recorded and walk the streets where Ace of Base grew up. A brief History: The Ace of Base story started in the early 90’s when the three Berggren siblings (Jonas, Malin and Jenny) formed the techno band Tech Noir. Next to their rehearsal room, Ulf Ekberg played in another band. Soon, Jonas and Ulf hit it off, started to write and produce together and Ace of Base as we know them were formed. After having recorded a demo of original songs, including ”All That She Wants”, the band went to Stockholm where they visited all major record companies. No one showed any interest. (Jonas later remembered somebody explaining that the songs were ”too obvious, too simple”). Next step was Copenhagen, where Mega Records immediately saw the band’s potential and loved their positive, uncomplicated and slightly reggae-tinged pop music.